WhenDi helps infants' caregivers share context as they hand off responsibility - WhenDid she last eat, sleep, or have her diaper changed? Flashing new firmware is as easy as drag-and-drop once you enter bootloader mode! press the MK64 reset button, and wait for the device to restart, now running your firmware! With the development tools and firmware flashing tools all ready to go, it's time to start fleshing out the functionality! 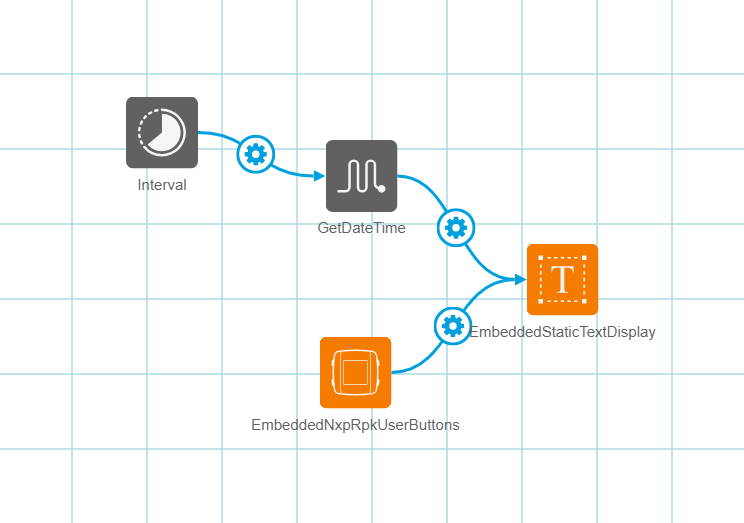 Rapid IoT Studio makes it extremely easy to prototype ideas - it's literally as easy as dragging elements from the toolbox onto the canvas! Final WhenDi UI with buttons and RTC all wired up! "final" UI - for now - based on real-world testing!